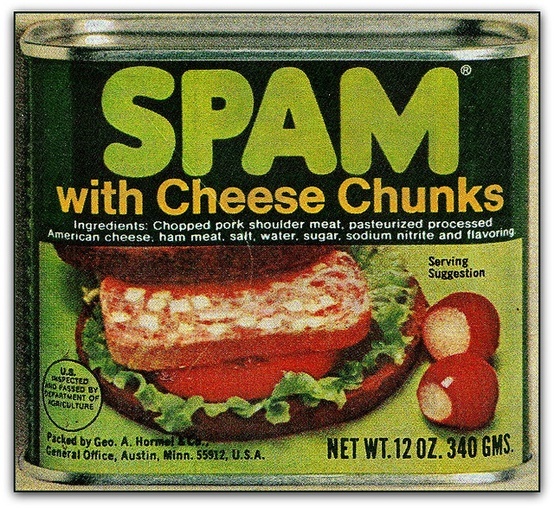 Spreadable SPAM! Just add Cheez Whizz and you’re in heaven. Taking the concept one step further, the cheez is already included here. Perfect for sushi! I know, and spreadable Spam still is around too.